History: Was built as a cruise ship in Göteborg Shipyard. Was operating under the Riga City Council under the name "O". In 1919 the ship was mobilised to the Navy and had changed owners several times when the ship was taken as war spoil by the Estonian Navy at the mouth of Daugava. When Estonians left Latvia, they took "O" to Tallinn, where it was repaired and armed and taken to service as gunnery vessel "Meeme". 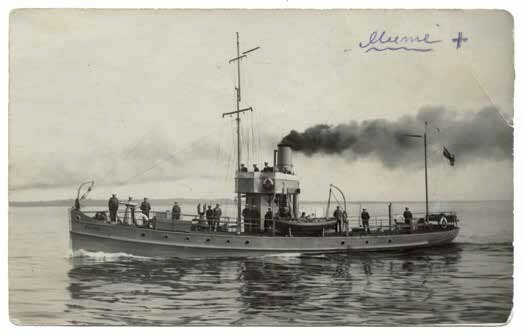 After the War of Independence Meeme, along with sister vessel Mardus, was involved with mine-sweeping operations to clear Estonian waters. Story of Sinking: On 11 November 1924, Meeme was sweeping mines W of Naissaar. 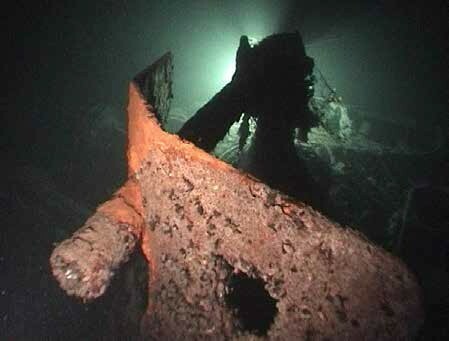 When pulling up the trawl a mine entangled to the cables exploded under Meeme's stern. The ship obtained severe damages, there were casualties and people with severe injuries. Attempts were made to get Meeme away from the accident site, but soon the ship foundered to a depth of 44 meters. Object Data: Displacement 150 tons, length 27,4 meters, width 6,4 meters. One 75 mm gun in the bow. Description of Location: approximately 1,8 miles W from the N tip of Naissaar, at a depth of 44 meters. Resource Links & Literature: Õun, M. 1998. Eesti sõjalaevad 1918-1940. Tallinn. Notes: There is a file (ERA.527.1.1225) in the State Archives concerning correspondence, investigation and other regarding the loss of Meeme. 138 pages. The whole list of ship's inventory and personal belongings of the crew is displayed in the file. Total damage to the state was 6 217 516 marks and 36 pennies.